Trial By Sapphire: Hello, Weekend! This is one of the outtakes that she posted on her photography Facebook page. Amelie and Boone were terrified that there was a stranger in the house! Amelie tried to make a run for it, but I got her! I love how calm and serene Mr. TBS looks while I'm on the verge of laughter. More photos coming soon! I met up with Meg & Whit last Saturday despite the downpour and thunder. Even though I live pretty far from most Houston bloggers, I'm glad that these two are within 30 minutes of me. What wonderful gals they are! I had the biggest grin when I saw Kristen's tweet about my 300th GFC follower. Thanks for getting me over the 300 hump, girl! After my Fourth of July disappointment and the crabbiness that ensued, I got a really sweet e-gift from Bobbi and proceeded to cry a few relieved/thankful/"I don't know what to do with myself"/happy tears. Yeah, it was that kind of day yesterday. Hahaha! What a mess I was! B, thank you for taking the time to send an e-gift to me, even while your dreamy English boyfriend is visiting you! I saw this to-do list on Pinterest and couldn't stop laughing! I really want to do 1, 4, 6, and 10. Who's with me? And now... Peace out, love bugs. HELLO, WEEKEND! CONGRATS for hitting (and surpassing!) 300 GFC followers...you're out of control! Still convinced that I need to make my way to Texas to see you & Meg. YEP. And last thing...I have never thought about sending e-gifts...I need to get with the times it looks like! Love you sister, enjoy this weekend! That picture of you two and your kitties is ADORABLE!!! I love the to-do list. I would love to actually do number 6. Not sure if I have the guts, but it would be hilarious. That photo of you two with the kitties is so cute and natural! Love how you're laughing. 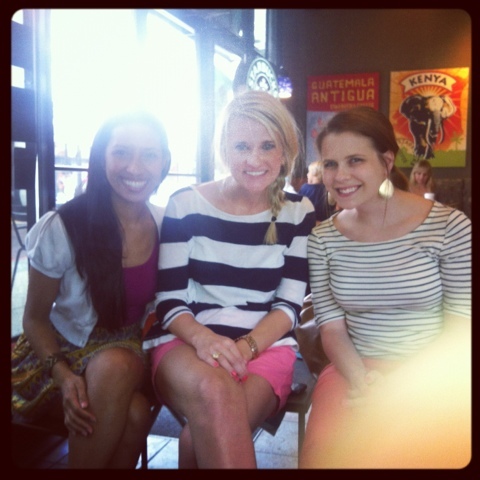 Also, how fun that you had a blogger meet up! I would love to do that. ooo I cant wait to see the rest of your pictures! Hope this weekend is better than Wednesday! 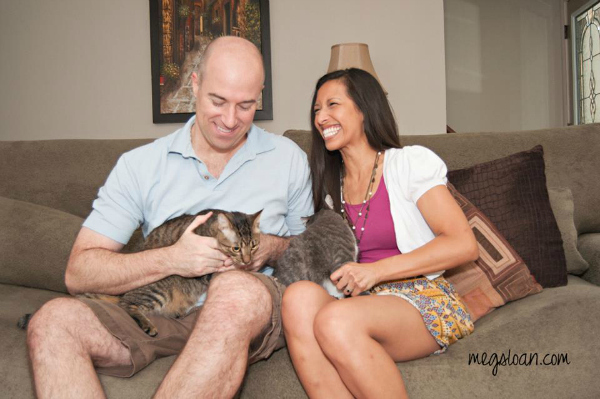 i really like that pic of you and MR. TBS/ kitties! cant wait to see the rest!!! IM SO GLAD I GOT TO SEE YOU TOOOOOOO! I always love hanging out! have so much fun at the meet up! One day I wont be a nomad! Hahaha I love that funny to-do list. I totally need to re-pin that for another good laugh! Ahahaha the pinterest is hilarious! Let me know if you end up giving them a try! The elevator joke is hilarious. I do not think I would have enough courage to do that though. My uncle is famous for saying "I have really bad gas" (even though he doesn't) in a crowded elevator and people have a look of complete horror on their face. Hope your weekend is amazing friend!!! I love the family photo! I think I might just need to invest in her taking some of me and my little family! Can't wait to see the rest of the pictures! I REALLLLLLY need to figure out how to use Twitter... I am soo behind the times! I am not your newest follower! Oh wow. That list made me laugh so much! I especially love the last one...I would so do that.